Studio portrait of 1907 Private (later Sergeant) Roland Grant Ward, 13th Battalion of Balmain, NSW. A bank clerk prior to enlisting, he embarked from Sydney aboard HMAT Kyarra (A55) on 13 April 1915. 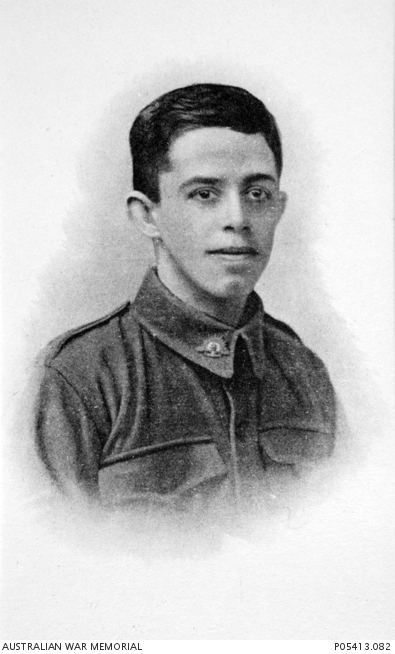 He was killed in action at Gallipoli, Turkey, on 27 August 1915, aged 23. He has no known grave and is remembered with honour on the Lone Pine Memorial, Gallipoli, Turkey.